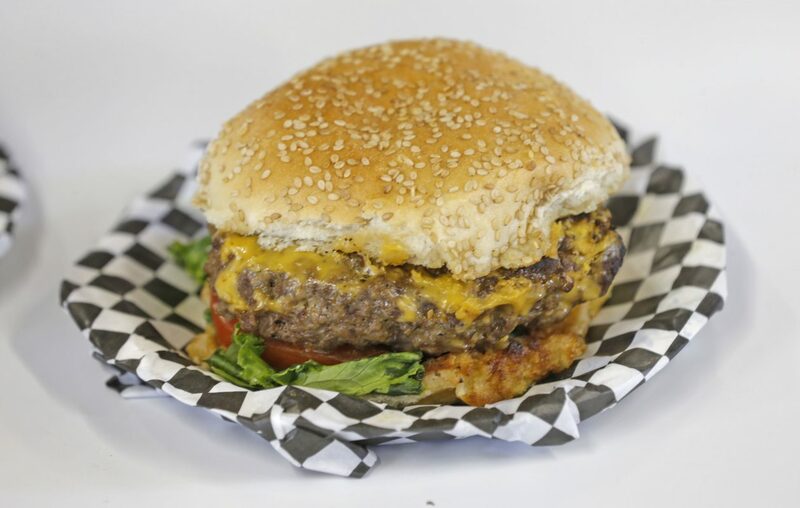 What new foods will be at the Erie County Fair this year? How about Italian sausage lollipops, stuffed hot pepper mac & cheese, deep fried Yancey's Fancy Buffalo wing cheese and kettle corn ice cream? The fair took the opportunity Thursday to hype some of the new food that vendors will offer while showcasing its new culinary center, "Erie County Fair Cooks! Kitchen and Shoppe," during a news conference at the fairgrounds in Hamburg. "It's the No. 1 reason why people come to the Erie County Fair," marketing director Marty Biniasz said of the carnival foods. "People are filling up on some culinary delights that you can only find at the Erie County Fair." This year will be no different. And while some of those new entrees might not delight dietitians, there will be some healthy items available, like a vegetable hoagie, grilled chicken kabobs, mozzarella and tomato sliders and pineapple/watermelon smoothies, fair officials said. Fairgoers can vote again this year on their favorite food in the Food Showdown using the fair app. In addition to those new foods, other finalists in the showdown include: Tuscan grilled chicken sandwich, crab stuffed mushroom pierogi; Italian doughnut deep fried in ricotta, battered and drizzled with Nutella; chocolate-based funnel cake topped with peanut butter, powder sugar, fudge, whip cream and chocolate chips; deer burger deluxe; and balsamic bruschetta on flatbread. Those are all the My Plate food groups recommended by the U.S. government, right? But back to the renovated culinary center. The building, formally the Mall building at the Avenue of Flags, highlights regionally sourced and grown products, promotes easy to cook at home meals, and gives fairgoers a glimpse of the area's varied culinary scene. Each day of the Fair the center will showcase live cooking demonstrations conducted by area chefs, cooking schools, concessionaires and local businesses. Among those appearing at the center will be celebrity chef Shaun O'Neale, the 2016 winner of FOX Network's MasterChef Competition; Howard Rosenthal of Mr. Food's Test Kitchen; Pete Gallivan and Chef Steven Binks of WGRZ-TV; and Katie Alexander of WIVB-TV. Local chefs will include Krista Van Wagner of Prima Oliva, Brad Rowell of the Hamburg Grange, Scott Leggett of US Foods, Andrew Murtha of Carte Blanche & Juicy Burger Bar and Brian Sterner, Brian Waters, Dan Thorington and Mathew Nelson, culinary executives from Delaware North. Carrie Meyer and Shelby Braun from the Independent Health Foundation will present a series of healthy eating themed demonstrations. Culinary schools will feature faculty and students. Concessionaires Sal Butera of Salvatore's Pizza Trailer and Linda Lund of Babcia's Pierogies also will share recipes from the midway. "This really celebrates food culture in Western New York," Biniasz said.